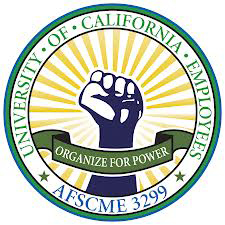 AFSCME Local 3299 is a dynamic progressive labor union representing 24,000 University Service and Patient Care workers at the University of California. We are a member-driven union with newly elected rank and file leadership, dedicated to building a strong union to fight for our benefits, jobs and families. We are currently seeking a Lead Organizer, working out of the UC San Francisco Office, and reporting directly to the Local’s Northern California Coordinator. The Lead Organizer will be responsible for overseeing the UCSF Medical Center program and field staff. This position is responsible for the supervision and development of organizing staff and member lost timers. The lead organizer will conduct a wide array of organizing activities, including leadership recruitment, training members, strategic planning, initiating and running local issue organizing campaigns and implementation of statewide goals and programs. Supervise the organizing and development of a team of staff organizers and lost time organizers. Supervise all campus organizing and contract enforcement activities. Participates in hiring, and evaluation of staff. Develop local campaign plans with the goals, strategies and tactics necessary to execute the plan, including effective management of staff, volunteer, and administrative resources. Visits workers at their job sites and in their homes and trains organizers and lost time organizers in organizing. Writes leaflets and other materials for campaigns. Implements effective staff development and team-building. Lead coalition-building efforts with other unions, student and patient care groups to support local and statewide campaign goals. Manage lists, charts, and databases. Meet statewide goals and deadlines. Responsible for managing organizers success of meeting statewide goals and deadlines. Enforces contract and labor laws such as FMLA, ADA, OSHA, and PERB. Informs Southern California Coordinator or other supervisor of activities, developments and progress of assigned campaigns. Experienced in leading and/or supervising multiple staff, assignments, projects, managing timelines, and effectively using database systems, or equivalent experience. Experience with collective bargaining, representation preferably in the public sector and/or public higher education. Ability to establish and maintain rapport and credibility with diverse demographic groups, and well as with professional, technical, administrative, and service workers. A demonstrated commitment to justice for working families, quality and affordable public higher education and quality patient care. A demonstrated commitment to union democracy and supporting and developing members’ voices and leadership in their union. Extended day and occasional overnight travel. Must possess a valid California driver's license, auto insurance with business coverage, and an automobile for business use. AFSCME 3299’s members are a diverse group of workers reflecting all of California, rich in gender and ethnic diversity. We are an equal opportunity employer, and strongly encourage all those qualified and interested to apply.